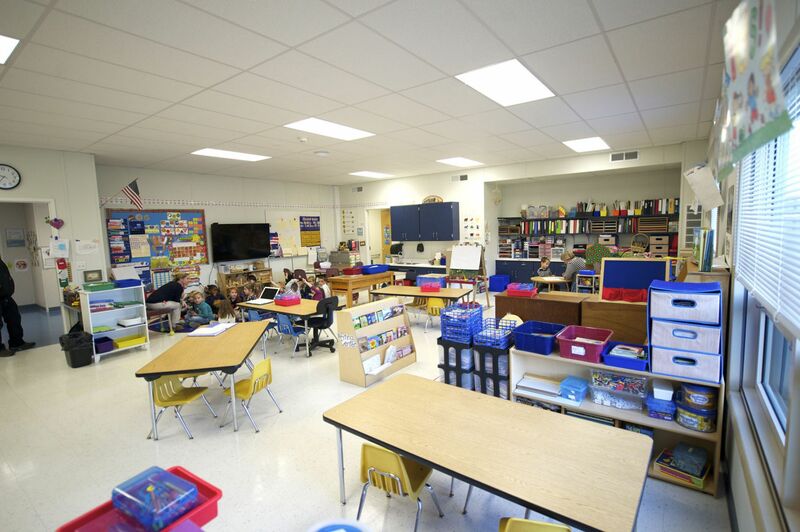 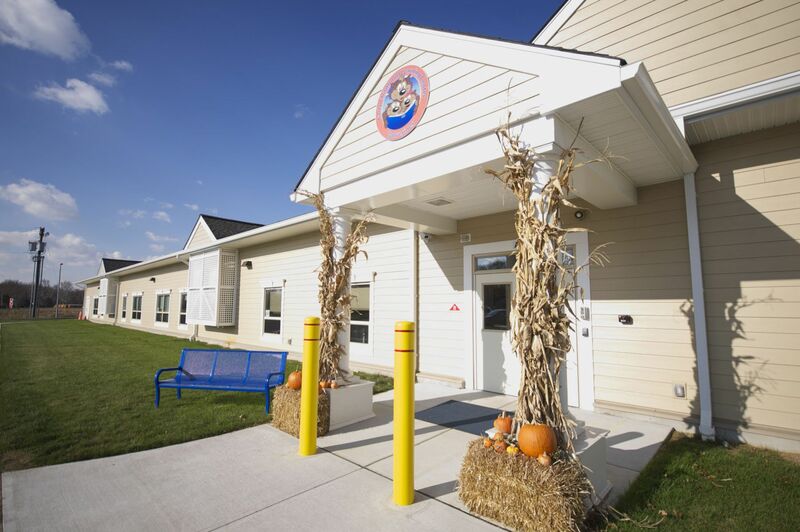 Woodstown-Pilesgrove’s New Early Childhood Learning Center was designed as a permanent 17,000 sq ft modular building to support the growing need for early childcare. 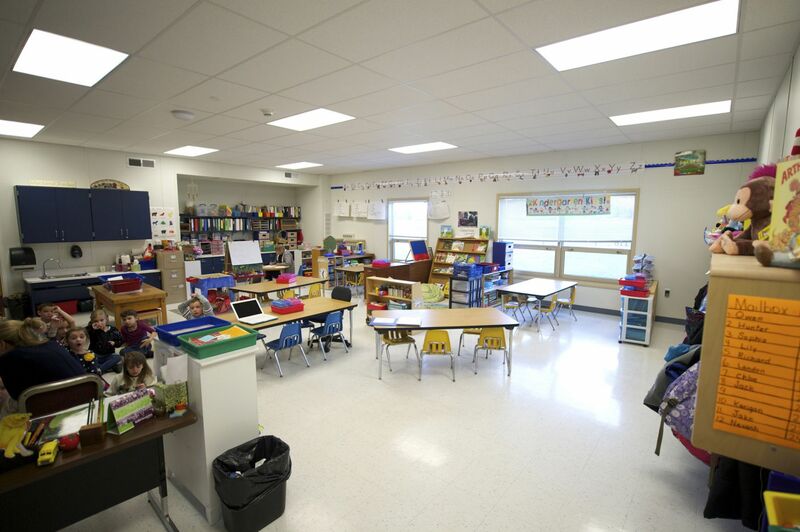 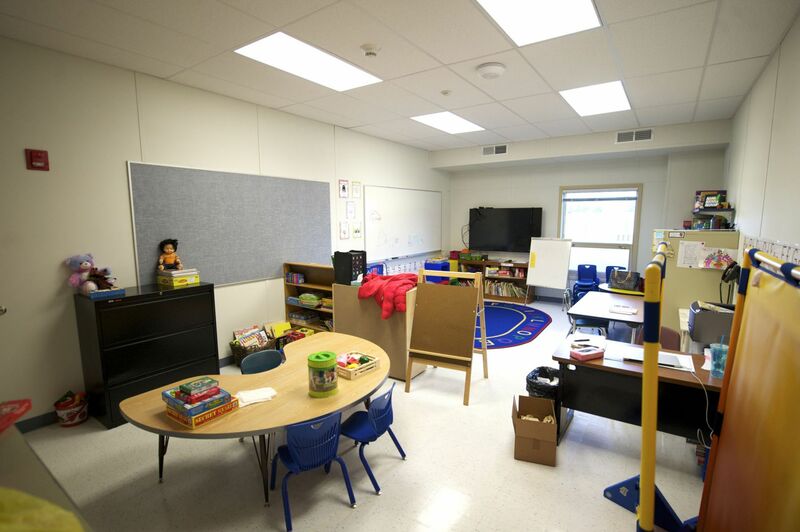 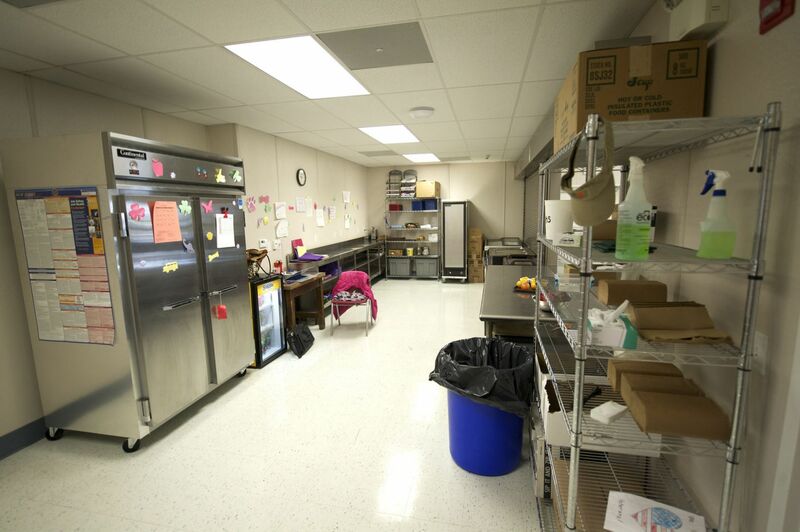 The building includes eight classrooms, six offices, conference room, multi-purpose room, kitchen, faculty dining, restrooms, storage rooms and a mechanical/electrical room to support the total childhood program needs. 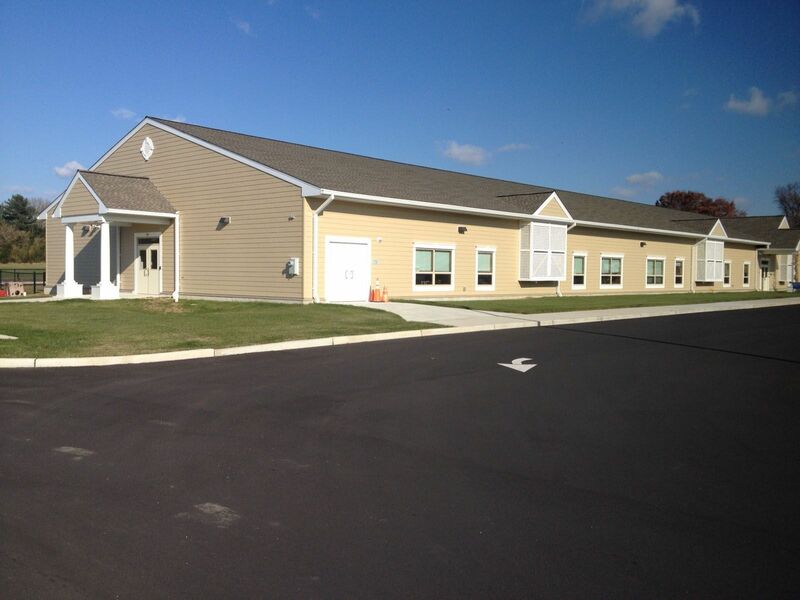 This building had to architecturally blend in with the residential area, so a flowing and clean exterior finish was accomplished by utilizing asphalt shingles on the 4:12 pitch site built roof, to include gable dormers, combined with horizontal vinyl siding and architectural vinyl trim accents. 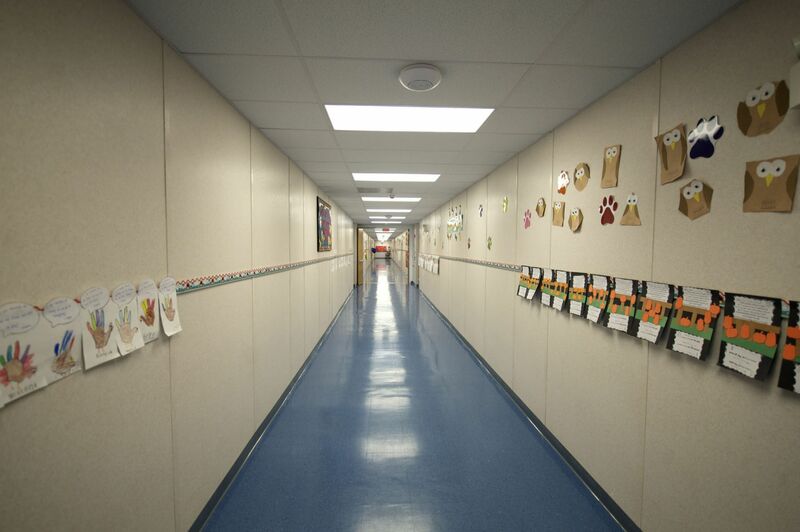 Custom upgraded equipment screens were designed and installed around each wall hung HVAC unit. 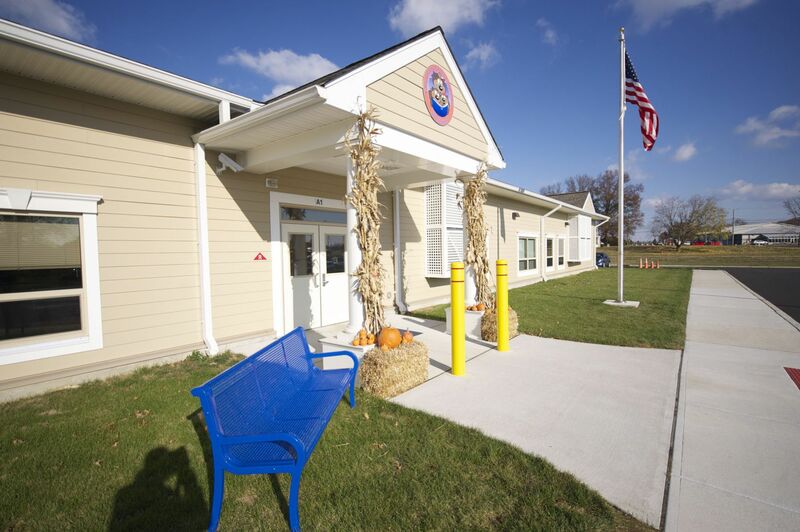 Additionally, the building was set at grade to allow access from the surrounding sidewalks directly to each exterior door at grade. 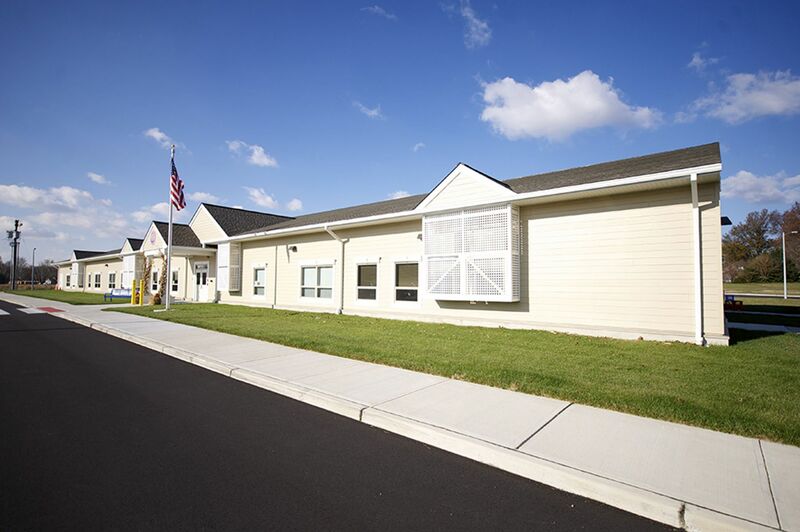 Innovative in design, panelized wall construction was used in combination with the core modular construction at the 2,856 sq. 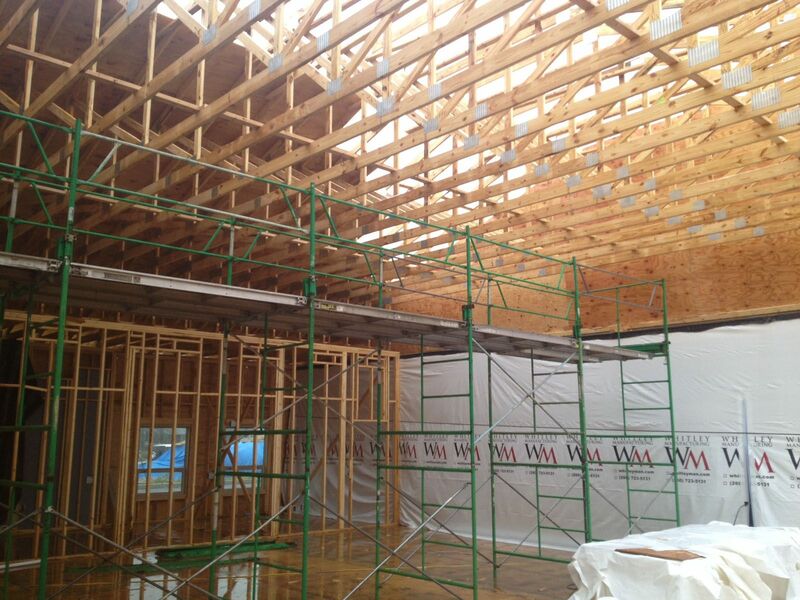 ft. Multi-Purpose Room and Kitchen/Dining area to allow for a 12’-0” finished ceiling height. 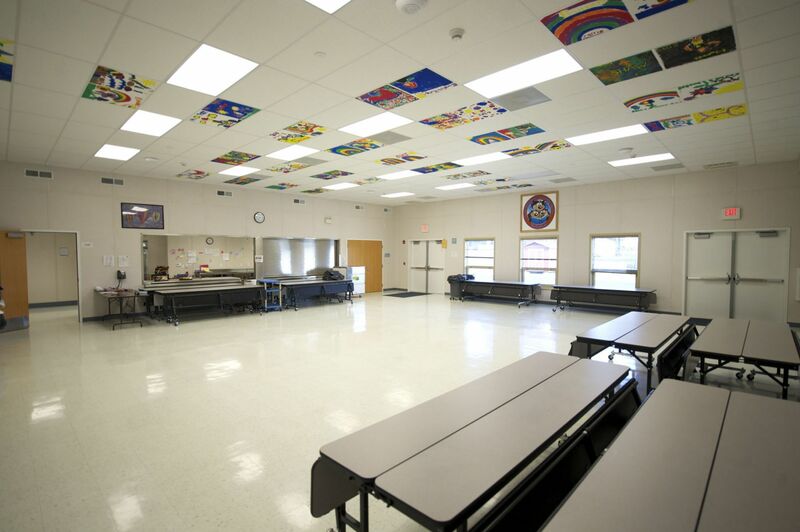 This gives the flexibility to use this area for physical education, lunch and other activists as needed. 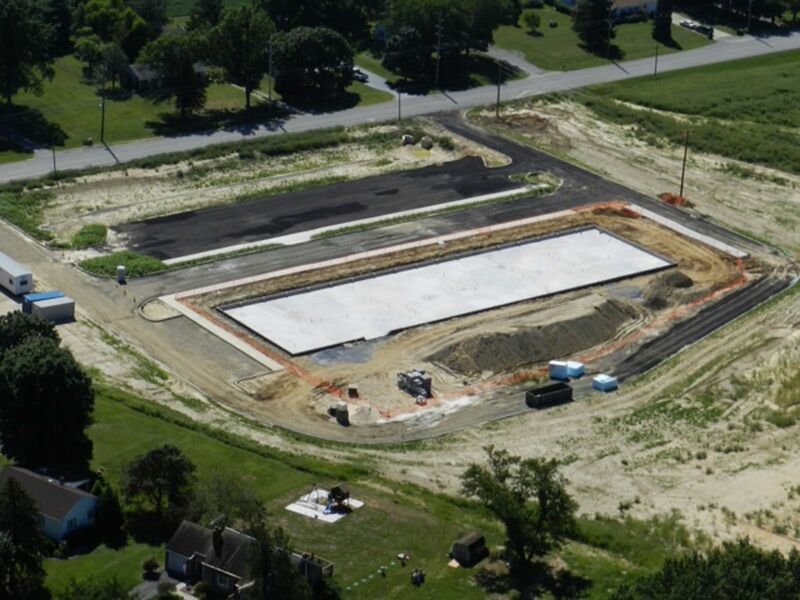 A perimeter foundation wall, with intermediate piers and a below grade insulated crawlspace was constructed to allow for a permanent at grade entrance; as well as easy access for future maintenance. 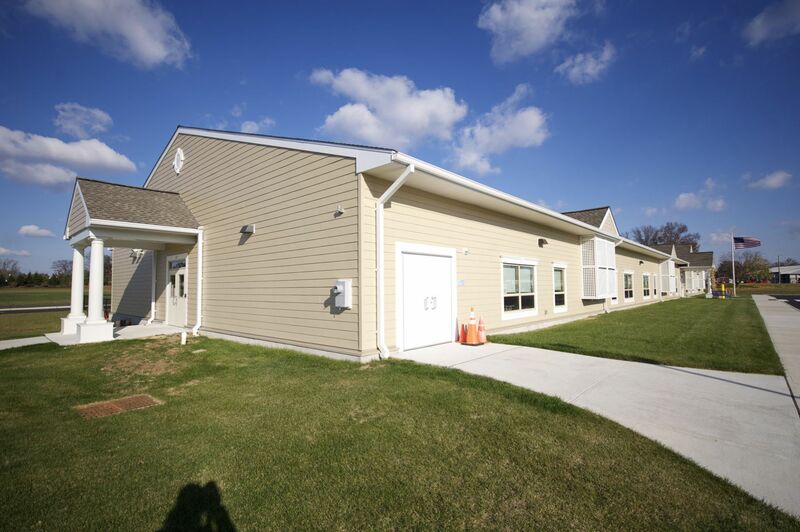 Each module was precisely crane set into place, welded to steel weld plates and structurally lagged at the wall, floor, and roof sections. 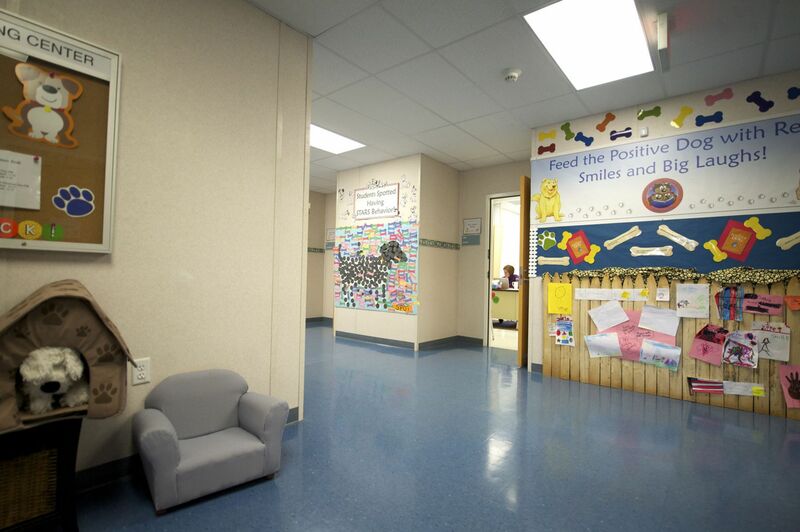 Due to the overall building size, a 2-hour fire rated CMU block wall was constructed from the foundation footer and built-up to meet the 4:12 roof pitch; to include site installed 2-hour rated interior fire doors at the corridor.